First of all, realize that most games are won and lost by your players executing the fundamentals and plays that you have taught them in practice. But courtside coaching can greatly influence the outcome of a game, especially a close game. If you get blown out by 30 points, let's face it... the other team was probably a lot better than you. First, prepare for the game through scouting, or reviewing game films of your upcoming opponent. Find out who their best offensive players are, what their style of play is, what they like to do, and what their weaknesses are. If you have played this opponent previously, review your old game stats, notes and films. Here is a good habit to get into: soon after playing a game, make notes of the game, your observations and impressions of the opponent and save them. Refer to these the next time you play them. Then you can develop a game plan that hopefully will favor your strengths and attack their weaknesses, and deny their strengths. But I would not change my game plan from what we usually do successfully to something else solely designed to stop our opponent. Let them change their style of play to try to stop you! Discuss in your practices and in your pre-game meeting your strategy for playing this team. Discuss the defensive assignments so each player knows his role exactly, and who he will be responsible for guarding. If you have never played this team before and have no prior information, try to learn early who their best players are and what style of game, what tempo, they like. Once you know this, you can make quick adjustments in a time-out, or at the end of the first quarter. Try to set the game tempo to the style that best suits your team. If you are a running, pressing team, and your opponent is a slow-down team, push the ball up the floor on offense, press on defense, and create havoc! If you are better in a half-court slower paced game (less team quickness and only average ball handlers), then bring the ball up the court more deliberately, and get back on defense to prevent the fast break. If your opponent is a great fast-breaking team, prepare your team to stop the break by having one, or maybe even two, guards back, and have your big guys jam the rebounder with hands up so they can't get off the quick outlet pass. What does your team do best? -- man-to-man, or zone? Are they quick, good defenders (go man-to-man), or do you have a couple slow defenders (maybe go zone)? Most teams may try both at various times of the game. Only you can decide what is best for your team. Here are a few things that I look at. If the opponent has good outside shooters, use man-to-man to keep pressure on their shooters. If their strength is inside post play, you can play man-to-man and double team the post with your weak-side guard. In this situation, whenever the ball goes into the low post, have your low post defender deny him the drop step to the baseline, and have your weak-side guard slide down quickly to prevent the move to the lane. Or you can go into a 2-1-2, or 2-3 zone to "pack the paint" with your defense. This leaves the outside more vulnerable. During the course of a game, if I realize that the opponent is getting most of their baskets inside, I may switch to a 2-1-2 zone to jam the paint and see if they can shoot from outside. If they can't hit the outside shot consistently, this may be the best way to stop them. If they are playing with a point guard and two wing players ("3-out, 2-in"), we may try a 1-2-2 trapping zone. Some coaches play only man-to-man and refuse to use zones. Others use only zones. As a coach, I believe I should use every possible tool or trick that I can to win a game. I personally favor pressure man-to-man, but will not hesitate to go zone if I feel it will give us an advantage, or a better chance of winning. One exception, teach kids in the lower levels to play good man-to-man, before getting into zones. So in practice, we will work on man-to-man defense, but also have the 2-3 and 1-2-2 in our arsenal, and periodically review our zone coverage patterns. So when do you switch from man-to-man to zone, or vice versa? There are different ways of doing this. Some coaches will change defenses frequently, in order to confuse the opponent... as long as your own team doesn't get confused too! I personally like riding success until the opponent shows me that they can beat it. If we are doing a great job with our current defense, I will stay with it until it begins to fail. You might also change from man-to-man to a zone if one or two of your better players are in foul trouble, and you are trying to protect them from additional foul exposure. Again, the decision to press depends on whether your team has quickness, stamina, and bench support, and whether the faster pace favors your team. Some teams will press the entire game because it favors their quickness, and they have a deep bench. Some will press at the start of the game to get off to a quick start. Some will press the last few minutes before the end of a period, realizing they can rest at the break. Some teams will press after each made basket. Some teams only press when they are behind late in the game, but it's usually too late by then. My personal plan often is to start the game pressing. Once the opponent starts breaking down the press, or gets a couple lay-ups, I'll drop it. I'll put it back on later as a "surprise" tactic, or if I sense a critical time in the game where a couple quick steals and lay-ups could make a big difference. 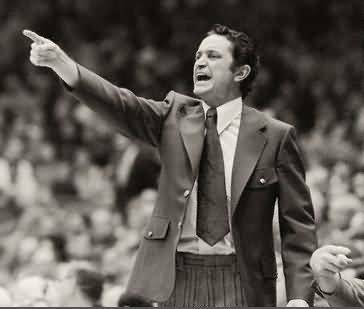 If I have a 10 point lead with a just couple minutes left in the game, I would drop the press, slow the game down, get back on defense and make the opponent work hard in the half-court for their shots, working the clock down. Coaches should use their time-outs wisely. In close games, if possible, I try to save two or three time-outs for the last few minutes of the game, when you may need to stop the clock, set up a play, discuss your team's strategy, etc. Sometimes it doesn't work this way. You get behind early, and must use your time-outs to hopefully break the opponent's momentum, and reset your own strategy. If you are trying to slow the game down, you might also use some time-outs early. If you are getting beat early, there is no point in saving your time-outs for the end of the game, when you are down 20! Sometimes I will look over at the opposing coach and notice that he is going to call time-out, and this may save one for me. Sometimes I see a coach call a time-out 30 seconds before the end of a quarter and wonder to myself, "Why?" Why waste a time-out then, when you can use the time at the end of the period as your time-out? Remember, that at the end of each quarter, you have a free time-out. Keep it simple in your time-out huddle. The kids will often only remember one thing you tell them in a time-out... usually the last thing. So use your time-out to make one important team point... don't waste a time-out to instruct just one player... you can substitute for him and explain things to him on the bench quickly, and then send him back in. An example of an important "team" pointer might be stressing getting back quickly on defense and keeping one or two guards back if the opponent is fast breaking. Another example might be to change your defense, or your offensive plan, and another might be to simply prod the kids into increasing their defensive and rebounding intensity and overall hustle. But keep it simple. If you are coaching youth basketball, where everyone is supposed to play, or if you have a team with a deep bench and can do a lot of substituting, then I would advise relying on your assistant coach to help with the substituting. If you only play six or seven players, you can handle it. In the former situation, I have found that it's really hard to keep track of everyone's playing time, and still try to coach the game, set the strategy, etc. Before the game, I will discuss with my assistant who the starters will be for that game. We will then also talk about which substitutions to bring in for certain players and at what intervals... that is, our "substitution pattern". Once the game starts, I have my assistant make most of the substitutions based on that pattern. He can see when certain players are getting tired and need a break. If we have a "hot" player on offense, we will ride that horse for awhile and not substitute until things "cool off". I will over-ride the assistant at any time, if I see a certain situation where I feel we need to have a certain player or two on the floor at that time. I also like to be aware of our players' fouls. I have a formula that I try to teach my players in regard to staying out of foul trouble: "your number of fouls should be less than the number of the quarter you are playing in." So you never get your 2nd foul in the first quarter, or your 3rd foul in the second quarter, or your 4th foul in the 3rd quarter. If any of these situations occurs with any of my key players, I may sit him/her down for awhile. If we are down 10, I may need to keep him/her in there, and have to take my chances with the fouls, and maybe try to protect him/her, using a zone on defense. On the other hand, I have seen coaches essentially foul-out their own players with four fouls, sitting them down for a quarter or more because of four fouls... essentially the coach has fouled his own player out with only four fouls, and taken him physically and mentally out of the game. You might be better off letting him play carefully, than not at all! Another point on substitutions... if you have eight or nine fairly good players, it will probably be to your advantage over the course of the season to play all these kids, with lots of substituting. If you are willing to risk a couple losses early in the season, you may be a much stronger team late in the season if you develop that eight or nine-man rotation into a good team, with lots of bench support. This also creates more team harmony and team spirit. Sometimes I see coaches screaming at kids. I don't think this helps the player, and is usually born out of frustration on the coach's part. 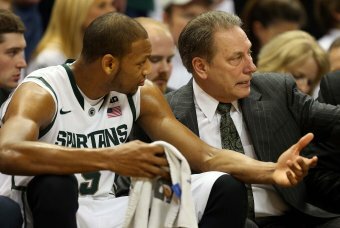 It doesn't mean the coach is a mean person, and often the coach feels bad about it after the game. 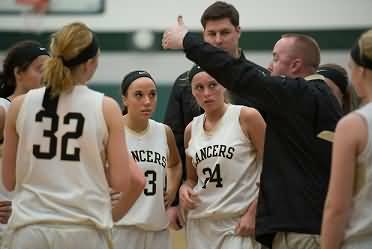 Personally, I think coaches should be vocal in encouraging their players, and yelling plays, strategy, etc. I think it is counter-productive to yell negative stuff at kids in front of their parents, friends and the fans. I think it is OK to get on them in practice, in the privacy of your gym. But games are for the players and should be fun for them, and they shouldn't have to dread the coach yelling at them. Try to be on good terms with the refs and introduce yourself and shake hands with them before the game. Most referees are good people who like and take an interest in kids just like you. And just like you, they want a fair game for both sides. Rarely, you may find a truly one-sided official. But expect them to make some calls that you do not agree with. In these cases, you may actually be wrong, or the ref may have made the wrong call, since no-one is perfect. Players and coaches make mistakes, and so do the refs. Basketball is not a perfect game. 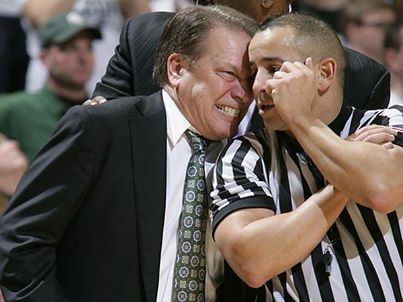 Learn to live with it and teach your players to adjust to the officiating and "play over" bad calls. Most refs will talk and respond to you if you treat them with respect and sometimes you can even throw in a little humor. But you may be in for a really long night if you have a ref who believes you are trying to "show him up". Then instead of focusing on calling a fair game, he changes his focus to "show you who’s the boss". Also, be patient with young, new referees. If you have the lead, and there is only 20 seconds left in the quarter, you may want to hold the ball for the last shot, so that you may increase your lead, and at worse, maintain your present lead without allowing the opponent a last second chance. In high school or under, I would want the shot to go up with about 5 or 6 seconds left. This allows time for an offensive rebound and a second shot, but not much time for the opponent to get the ball up the floor off the rebound. Also, it takes some of the pressure off the shooter when there are 6 seconds left, as he/she knows there is a chance for a rebound and put back. If you wait until the buzzer, there is more pressure on the shooter to make the shot. With only a couple minutes left in the game, I try to "shorten" the game by holding for a good shot, preferably a lay-up, and keep the clock running. As the late Al McGuire used to say, "you don't need any more points... the clock is now your enemy!" This may be a good time for a time-out and explain to the kids, "nothing but lay-ups". Even better, make the call from the bench so that the clock doesn't stop for a time-out. Chances are, the opposing coach will use one of his time-outs anyway to instruct his players to foul and press... so you can probably save your time-out. In "running the clock", I would always take the lay-up because it is a higher percentage thing than just trying to hold the ball, and you can put the nail in the coffin with one last score. You must still work your offense, but looking only for the lay-up. If you try to just "stall" without looking for the lay-up, the chances are greater that you may turn the ball over, or that you will get fouled, and a lay-up is easier than two pressure packed free throws. Also, if you entirely lose your focus on scoring, you may also lose your aggressiveness and momentum, and you become easier to defend. But if you have a two possession lead (4 points) with less than 30 seconds, hold the ball. On defense, get back and play good half court defense. Avoid stupid fouls that stop the clock and allow the opponent to score when the clock is actually stopped (free throws). Contest (but don't foul) the three-pointer, and prevent the fast break and easy lay-up. If you only have 3 or 4 team fouls, you can play aggressively and pressure the ball… a non-shooting foul just results in their inbounding the ball (which you could steal). See "Defense for the Few Seconds of the Game"
Have your players push the ball up the court on offense, and full court press on defense. Use your time-outs to stop the clock and remind your players that the key to winning is tough defense and rebounding... you must prevent the opponent from scoring to allow your offense a chance to catch up. Think in terms of the number of possessions you are down. If you score, you might call a time-out immediately before they can in-bounds the ball. This not only stops the clock, but also allows you to get your full-court press set, where you can try to deny and steal the ball. Be aware of your number of team fouls. If you only have 4 or 5, you may have to foul quickly so that you are over the limit (7) and can send the opponent to the free-throw line. If the difference in the score is only one possession, I would just play very aggressively… if the ref calls the foul, that’s fine. If not, we may come up with a steal or force a turnover with our aggressive play. If you are inside a minute and are down two or three possessions, try to get the quick steal, but if you don't get it, then immediately foul to stop the clock. Too often, teams will let 20 seconds run off the clock before someone finally fouls, wasting too much precious time. Remember that a lot of things can happen in just 20 seconds. After being down by two, our high school varsity scored 4 points in just 7 seconds to win it's regional final game this year! If you are down 4 points, you don't have to go to the three-pointer, since it's two possessions anyway. Take it to the hoop and get to the free-throw line and stop the clock. Then after scoring, or making the two free throws, put maximum, deny pressure on the in-bounds pass, going for the steal, or quick foul. Even if you are down 3 with only 20 seconds to go, it might be a higher percentage move to go for the quick two-pointer and then pressure the inbounds pass than putting the whole game on the shoulders of your three-pointer shooter, who probably has tired legs. If you take the "3" and miss, and the opponent gets the rebound, you are usually history, because you will have to foul, and they only have to convert one free throw to "ice" the game. If there are only 8 seconds or less, take the three-point shot. Hold for the last shot and try to get that shot with 4 or 5 seconds left, so you have time for an offensive rebound and a second shot. But warn your players to be careful not to get the "over-the-back" foul on the rebound. Again, it takes some of the pressure off the shooter if he doesn't wait until the buzzer. Try to get the ball inside for the high percentage shot... you may either get the shot, or get fouled and win it on the free-throw line. If you have an outstanding outside shooter, you can go "inside-out", passing the ball into the low-post, sucking the defense inside, and then kicking the pass out to your perimeter hotshot for the game-winner. If you need to, call a time-out to instruct your players on this strategy... but realize that when you call time-out, you risk having your in-bounds pass stolen. Even better... work on this game situation in practice and be able to call it from the bench without using a time-out (unless you need to stop the clock). Less than 4 seconds and you have the ball going the full-length of the court... "Full-Court Buzzer-Beaters"
A few seconds remaining and you have the ball at half-court... see "Half-Court Buzzer-Beaters"
Make sure your players all know their defensive assignments. Be sure to get "help-side" defense on their star players. Contest the shot with hands up, but do not foul, unless it looks like an easy lay-up... then you must make them win it on the free-throw line, which is not always easy late in the game with the pressure on and fatigue a factor. Some coaches will have their defense try to "take the charge" on dribble-penetration. My experience is that unless it is a really obvious charge, you won't get the call from the ref when the game is on the line. If your number of team fouls is 5 or less, play very aggressive defense. If the opponent waits until the last few seconds to make the move to the hoop, you could foul (unintentionally) the ball-handler. Since they are not yet in the bonus, they must reset and inbounds the ball with just a second or two left. If you still have 5 or less team fouls, you can be very aggressive in defending the inbounds pass… each foul will harass them and cost them time on the clock. If you get the quick steal in transition, attack the basket immediately without calling a time-out to set up a play. Chances are, in transition, you will get a good shot, or get fouled. If you get the defensive rebound with 5-6 seconds left, get a quick time out to stop the clock and set up your last play. Another "gutsy" strategy is: assuming they have a poor free-throw shooter, you may immediately foul him, if it is a "one and one" situation. If he misses the first free throw, you can gain possession and now you have the advantage. I would not attempt this if the opponent is in the double bonus, or if there is less than 10 seconds left... you may not have time to score after the free throws, should he make them. There is a lot of basketball strategy that can be used in the final two minutes! I'm sure I have omitted some things and other coaches could add even more pointers. 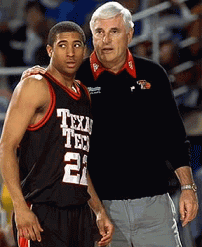 Watch TV and see the great college coaches work the clock late in the game. You can learn a lot from the TV commentators as well. with Hubie Brown, former Memphis Grizzlies Head Coach, 2004 NBA Coach of the Year. with Hubie Brown, Basketball Hall of Fame, NBA Legend. with Pat Summitt, former legendary Tennessee Women's Head Coach.